Combats psychosis disorders, inflammatory disorders, neurodegenerative disorders, tumor and cancer cells, anxiety and depression disorders. 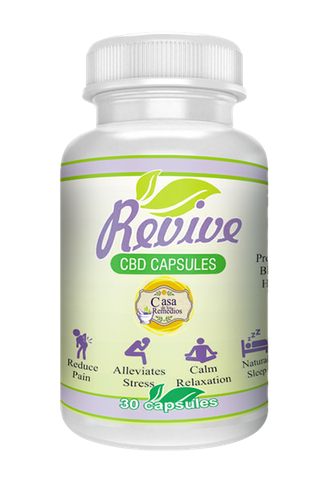 REVIVE Cannabinoid Complex capsules contain our proprietary formulation developed with full spectrum cannabinoid, whole plant extract and water-soluble. take 1 capsule 3 times a day with a glass of water.